1 Timothy 1:15-16 Here is a trustworthy saying that deserves full acceptance: Christ Jesus came into the world to save sinners — of whom I am the worst. But for that very reason I was shown mercy so that in me, the worst of sinners, Christ Jesus might display his immense patience as an example for those who would believe in him and receive eternal life. Jesus is patient with us even when we rejected Him, when we didn’t listen to Him, when we wanted to do things our own way. Jesus shows us His patience so that we may believe in Him and receive His eternal life. Unlike the boy who prayed for God to give him patience, we do not have to ask God for patience. 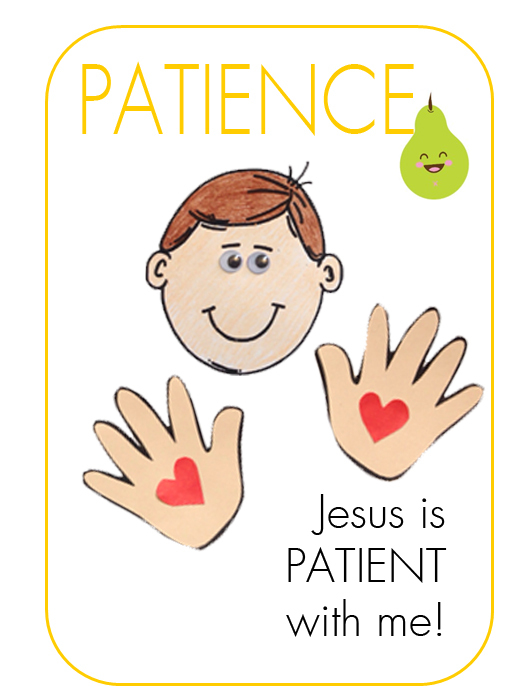 We have Jesus in us, so if Jesus is patient, so we can be patient. We remind ourselves how patient Jesus was and how he continues to be patient with us even when we make mistakes, say or do things which hurt others and maybe even hurt ourselves. When we focus on Jesus, we will find that we are more patient with other people and with ourselves. Let’s look to Jesus. Remember, you have his life in you!